Home / Blog / Do the Northern Ireland's Food Waste Regulations affect you? Guidance was published by the Northern Ireland Environment Agency. It describes a ‘food business’ as ‘an undertaking, whether carried on for profit or not, and whether public or private, carrying out any activity related to the processing, distribution, preparation or sale of food’. The new legislation affects restaurants, canteens as well as hotels, hospitals and schools. There are a number of environmental benefits associated with the regulations including reduction in greenhouse gas emissions and increasing resource efficiency. There is also the potential for food businesses to experience reduced waste disposal costs thanks to the increase in food waste tonnages diverted from landfill. However, a new technology, such as the Winnow system can help food businesses solving the problem of food waste at its root. Rather than focus on disposing of waste (e.g. Anaerobic Digestion) the system prevent food from being wasted in the first place. We have worked in over 200 kitchens including hotels, restaurants, schools and hospitals. All have found significant value in using Winnow to measure, benchmark and reduce food waste. It drives down food waste rapidly and at scale by strategically measuring and monitoring it. 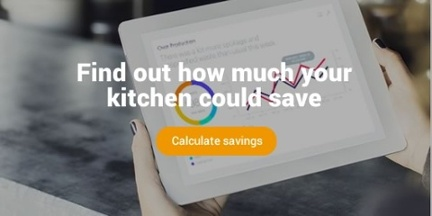 On average we see kitchens reduce waste by 50% over 12 months, and 25% in the first month alone. From a sustainability and commercial perspective, it makes more sense considering the impact of collection, energy and labour costs that the standard practices fail to address.